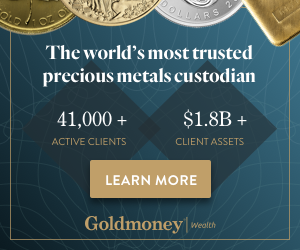 Home » Commodities & Gold » The Palladium Crash Of 2019 Has More Legs? The Palladium Crash Of 2019 Has More Legs? It is almost a fact: our palladium forecast for 2019 gets invalidated. The price of palladium (PALLADIUM) fell more than 7 pct on Thursday, which came after 6 pct on Wednesday. In total, this week, palladium fell 16 pct already. That’s a crash. Do we believe the palladium crash of 2019 has more legs? Visibly, there is serious damage on the long term chart of palladium. Yesterday we showed the daily chart in our article Palladium Breaks Down. The End Of The Bull Market Or Buy Opportunity?. Today we feature the weekly chart to show the impact on the long term trends. Best case, palladium rises back into its higher rising channel (above $1500) in the next 3 trading days in which case it will be bullish and no harm done. Base case, palladium continues to trade above $1440 in which case we are in a neutral scenario. It can go both ways, but $1440 remains the line in the sand. Worst case, palladium continues to fall, and with 3 consecutive daily closes below $1440 it has invalidated our $2500 projection. It clearly has the lookings of the worst case scenario. This is what Bloomberg has to say: Palladium is heading for the biggest weekly decline in more than three years as investors’ focus turned to demand amid concerns over slowing global growth, with the slump following repeated warnings that the metal’s recent surge to record highs had propelled it into bubble territory. This is what InvestingHaven has to say: Based on the daily + weekly chart patterns can we reasonably expect a sudden turnaround to the $1440 area now. Moreover, the damage has been so impactful that even the base case is no realistic for now, as it would require a $100 rise (only likely if it happened the first day after the first big drop). When it comes to the longer term we see the weekly chart embedded below. The depth of the drop is too significant. It fell out of its rising tactical channel, and now also pierced back into its secular rising channel. This setup has a simple and clear message: the crash has are more legs. Our forecast for 2019 is invalid. There may be another opportunity that palladium rises again, and may meet our price target at a later point in time. But it will certainly _not_ be in 2019!